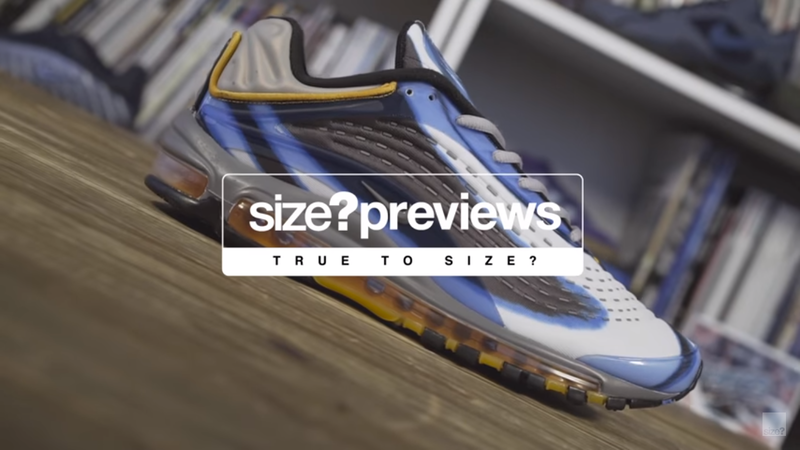 For the tenth episode of true to size? we bring you a trio of big releases due to hit shelves over the next few weeks. Starting things off with a closer look at adidas Originals’ latest Boost silhouette. Bringing another classic silhouette into the modern day, the Three Stripes update the iconic ZX500 OG with a Boost midsole and a slightly different heel structure. Launching in two colourways in mens and womens sizing, the next generation ZX500 is available from 08:00AM on 7th July. Next up comes 2018’s second size?exclusive from Vans, in the shape of the Style 36 ‘Pony.’ Dropping exclusively on the size?previews app and in size? stores on the 20th July, the Style 36 is dressed in a pony hair upper in the brand’s iconic checkerboard pattern. Let us know what you think in the comments below. Finally, the one you’ve all been waiting for, Nike deliver the Air Max Deluxe. One to divide opinion, the late ’90s runner is back in it’s original form for 2018. Coming in it’s Petrol Blue/Orange colourway, the futuristic looking silhouette is due to hit shelves shortly.